Now eight years later Casio has not improved when it comes to slow motion specs on their cameras when it comes to higher frame rates and resolution. The EX-FR110H does have some innovative features for extreme low light but when it comes to slow motion it really is just following along without a high spec. 1.9 Megapixel Effective Sensor 1/2.8 inch back illuminated Sensor. FHD video actual recording time ※ 1 : about 1 hour 05 minutes. 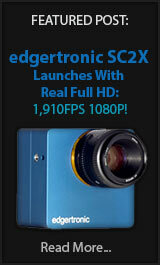 High-speed video HS240 512X384 240Fps): Limited to 30min rec time on all modes per file. As you can see the camera is touted at the adventure crowd that wants to shoot in dark places. While ISO 51,200 is not breaking any records by all camera standards it is however a witty move in a small action camera. The sensor is still small but the pixels capped at 2 megapixels makes the pixel size much larger than other cameras that average 14 or even 18 megapixels in the same sensor spec. The results are clearly not Sony A7s II quality or DSLR by any means but it does offer an option where a Smartphone, GoPro or Sony Action camera cannot venture due to their low light abilities being capped at lower ISOs. The ability of the camera to be detached and activated from the portable touch screen is in line with the Casio EX-FR products of the past and it does provide a way to mount the camera in a different place while having the command unit in your hand to activate it’s functions. It also allows for two camera units “Sold Separately” to be controlled by the same screen controller and get dual video angles to record your adventure. 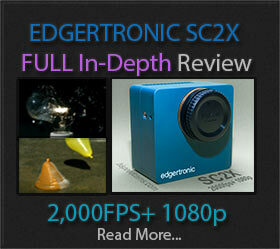 As a full HD 1080p camera for Scuba Diving it may be a better fit than a GoPro due to the low light ability. However 4k is absent which might be more desirable. communication standards: Bluetooth ® ver. 2.1 Tasu EDR, output class: class 2※ Bluetooth ® word mark and logos are registered trademarks owned by Bluetooth SIG, Inc., Casio Computer Co., Ltd. uses on the basis of these mark to license. Cave dwelling seems to be a good marketing tool for this Casio Camera. We like the Casio EX-FR110H as an action camera for places where you need the extra light gathering ability. However the sensor is not big and the pixel size while large is not monstrous like other low light cameras out there like the excellent Sony A7S series. If you are in need for a camera in an environment that is extremely dark like a mine, cave or deep scuba diving the new Casio might be an option for you. However it will not break any new ground for image quality at high sensitivity which is a noise fest compared to larger sensor cameras that can get to half a million ISO. The Slow Motion capability is weak at HS 240 (512X384 240fps) which is at this pint in time a low spec by most measures. With a small pixel count sensor such as this one at least 720p 240fps should have been added and maybe even 1080p 240fps since the sensor should be able to record at those levels. A lost opportunity since the low light ability is beyond other cameras in it’s class. We cannot recommend the Casio EX-FR110H as a slow motion camera option. We wish Casio could get back to innovating in the high frame rate space and not just do the bare minimum. As a slow motion camera option that does extremely well in low light the Sony RX100 V is really the best bet this year. The Converted Yen Japanese Price of ¥53,940 is at $469.00 USD but we have no information about shipping in Europe or the USA at this time. It should be available in the Japanese market this December 9th 2016. Previous PostOK Go Slow Motion Video Makes History!Next PostChronos 1.4 Kickstarter Surpasses 300k in Funding! With optional waterproof housing, EAM-5 depth is 20 meters. Without housing, we estimate 30ft or 10m which is normal for these types of cameras. We could not find the info other than the housing.